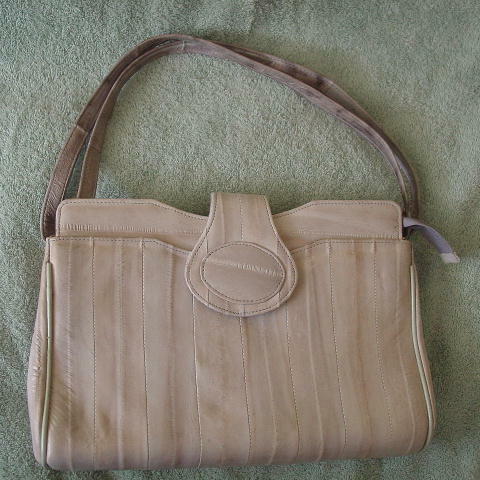 This never-used vintage multi-toned oyster color eelskin purse has a pale gray suede interior. It has a back gray tone-on-tone fabric lined zippered pocket and a fabric lined center zippered section. Under the front flap is a magnetic closure and the front has a large fabric lined compartment. 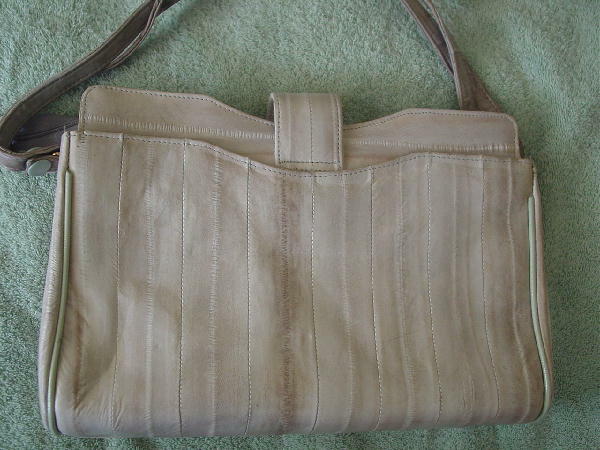 The 44" by 9/16" shoulder strap unsnaps at both ends and you can turn it into a 2 strap handbag.